In Pursuit of My Own Library: What have I been up to? Spring cleaning, vacation planning, and reading. What have I been reading? An excellent new novel that comes out in July. I have not read something in the general fiction category that sparked my interest since college. The story was poignant and rich in real life heartaches. I typically veer away from general fiction because authors play with the formatting in ways I don't really appreciate. The treatment of time and narrative in this novel proves that manipulation, but it really works with the emotions behind this novel. "My name is Jude. And because of Law, Hey and the Obscure, they thought I was a boy." Jude is twenty-one when she flies in a private plane to Sark, a tiny carless Channel Island and the last place in Europe to abolish feudalism. She’s been hired for the summer to tutor a rich local boy named Pip. But when Jude arrives, the family is unsettling. Pip is awkward, overly literal, and adamant he doesn't need a tutor, and upstairs, his enigmatic mother Esmé casts a shadow over the house. Enter Sofi: the family's holiday cook, a magnetic, mercurial Polish girl with appalling kitchen hygiene, who sings to herself and sleeps naked. When the father of the family goes away on business, Pip's science lessons are replaced by midday rosé and scallop-smuggling, and summer begins. Soon something powerful starts to touch the three together. But those strange, golden weeks on Sark can't last forever. Later, in Paris, Normandy and London, they find themselves looking for the moment that changed everything. 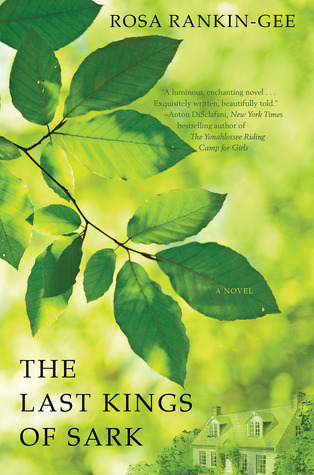 Compelling, sensual, and lyrical, The Last Kings of Sark is a tale of complicated love, only children and missed opportunities, from an extraordinary new writer. It is certainly worth a pre-order for those who love to read and feel reality through words. Visit Rosa Rankin-Gee's website to get immersed in the making of The Last Kings of Sark, which releases in the US on July 8, 2014. If you live in the United Kingdom, then go to your local bookseller for a copy.